If you’ve popped down to Trafalgar Wharf, The Drystack or JBT Marine recently, you may have been greeted by a slightly more rugged smile than usual. 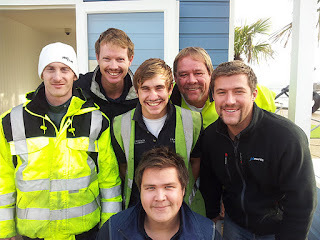 That’s because some of the team are taking part in ‘Mo’vember by growing their moustaches. Movember was started to raise awareness for testicular cancer which, believe it or not, affects 1 in 9 men in their lifetime. Since Movember began in 2003 with a humble 30 Mo’s being grown, the movement as gone global and in 2010 around 500,000 men donate their top lip to charity for the month, and over the years have raised a staggering £100+ million. If you would like to support the guys at Trafalgar, please check out their team page or drop us an email to vote for the best Moustache on site, the ‘Mo’ with the most votes will be awarded with a glorious trophy (or should I say ‘Mo’phy) at the end of the month!